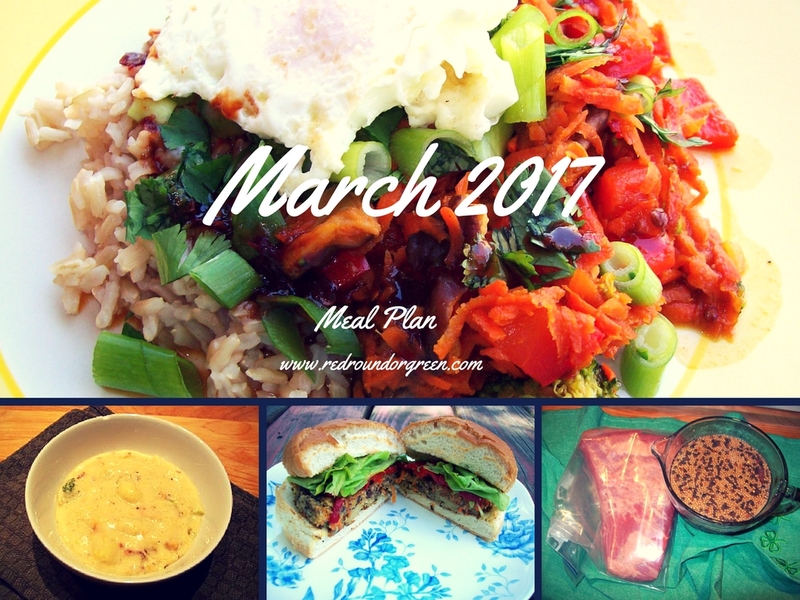 March 2017 Meal Plan: Whatever Happened to Free Time? The other day, I got up an hour earlier than usual to make sure that I was appropriately dressed (when you work from home, “appropriately dressed” is a thing you have to sometimes think carefully about, usually on those occasions when you realize you’re going to be in the company of other adult human beings), with makeup done and hair brushed and teeth cleaned and accessories chosen, before waking up the kids. I gave the dog water and I made the breakfasts and I got the lunches organized and the school notebooks signed and I answered a bunch of emails and I posted some content on The Family Dinner Project website and I called and arranged for a cab ride to the train station. I walked the kids (and dog) to school and then walked the dog back home and made a frantic last-minute run to the pharmacy for something I belatedly realized we were out of that couldn’t wait, and then I hurried back home and packed up my things and got myself out to the curb to wait for the cab. I rode to the train station and then waited an hour for my very late train to a meeting in Boston, for which I was also late. I did the professional-lady-in-meeting thing for a couple of hours, then had about 20 minutes to find lunch and get back on a train headed home, so for the next hour I was basically typing with one hand on a very bumpy train while trying to neatly eat a semi-questionable vegetarian burrito with the other, because I am a pretty, pretty princess. I got back into Providence, hailed another cab, got back to my house just in time to let the dog out and rush over to the school to pick up the boys from their after-school piano lessons. From there we ended up at the rock and roll school for P.’s guitar lesson, and then at the public library for L.’s community theatre audition, and as I stood there watching him and the other kids sing their hearts out I chatted with some neighborhood friends who had all had similar types of days. It used to be that May and June were busy, hectic months for us as parents of school-aged kids. That’s when all the sports schedules and end-of-year concerts and performances and awards banquets and picnics and barbecues and fundraiser walks etc. etc. happen. But last year, I started to feel the crunch in April. And now here we are at the beginning of March, and I’m feeling Mayish ALREADY. It’s not, mind you, that I think my little tale of woe here is any different from anyone else’s life — in fact, I know it isn’t. This is how things are, sometimes, for most of us. It’s just that it seems to me these pockets of insanity are happening more and more frequently — to everyone — and invading ever-expanding swathes of the calendar. March, this year, feels like the month in which Everybody Needs a Piece of Me. As always, planning ahead is probably going to be the only way I can even remotely attempt to give away all those pieces. So here goes. Saturday, 3/4: My parents bought us tickets to a show; we’ll head out for dinner when it’s over. Sunday, 3/12: I’ll prep everything for Sunday Roast Chicken before my matinee; J. and the boys can pop it in the oven so it’s ready when I get home. Sunday, 3/19: Our traditional Saint Patrick’s weekend feast with the in-laws: Home-brined corned beef, brussels sprouts, scalloped potatoes, glazed carrots and soda bread. Tuesday, 3/21: P.’s birthday! (And mine….) Unfortunately, I’ve got a rehearsal tonight, so we can’t have a big celebration. I’m making his requested dinner: Steak, mashed potatoes and asparagus. And cake, OF COURSE. Wednesday, 3/22: Going out to dinner for a proper birthday celebration, just a day late! Sunday, 3/26: We’re going to play things by ear. P.’s birthday outing with his buddies is this afternoon, so I’m not planning much.